We love the BMW New Class coupes around these parts, but did you know there was an electric 1602 as well? 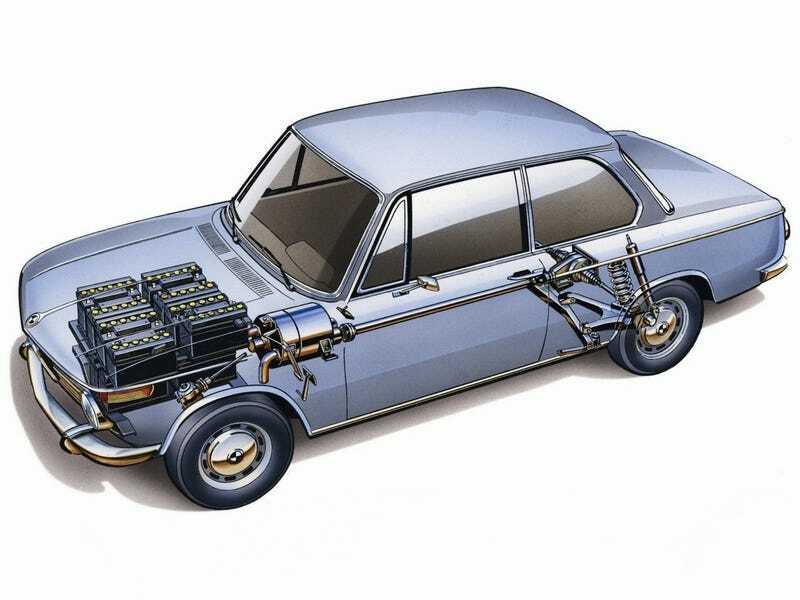 Road & Track says BMW built one in 1972 with a 32 kW electric motor and nearly 1,000 pounds of batteries that required swapping out entirely when they were out of juice. Charging? Overrated.